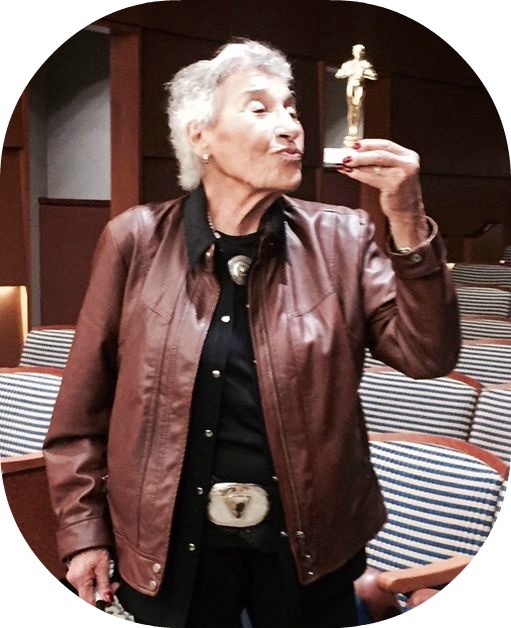 Anita Schorr — a Westporter and Holocaust survivor who inspired thousands of area residents with her true story of horror and hope — died yesterday. With her trademark bravery, she had waged a battle with colon cancer. She was 85. 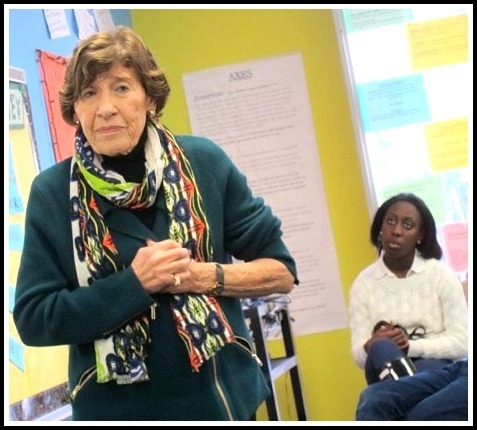 Anita began speaking out in 1993, following a visit to the newly opened United States Holocaust Museum in Washington, D.C. Two decades of Westport students have listened, rapt, to this remarkable woman. Anita Schorr lived through some of history’s most horrific times. Liz Kaner first met Anita Schorr 17 years ago, on the tennis court. Her tattooed number was visible on her arm. Recently, Liz drove Anita to an Anti-Defamation League program, to help middle school teachers incorporate the Holocaust into their curriculums. “Although it was the 3rd or 4th time I’d heard her story, I could barely breathe,” Liz says. Several years ago, Liz wrote an article about Anita for a joint Hadassah-UJA program. In it, Liz described the upheaval of Anita’s idyllic childhood at age 9 — along with the strength that allowed her to survive slave labor, ghetto life, 2 concentration camps, and the loss of her entire family. 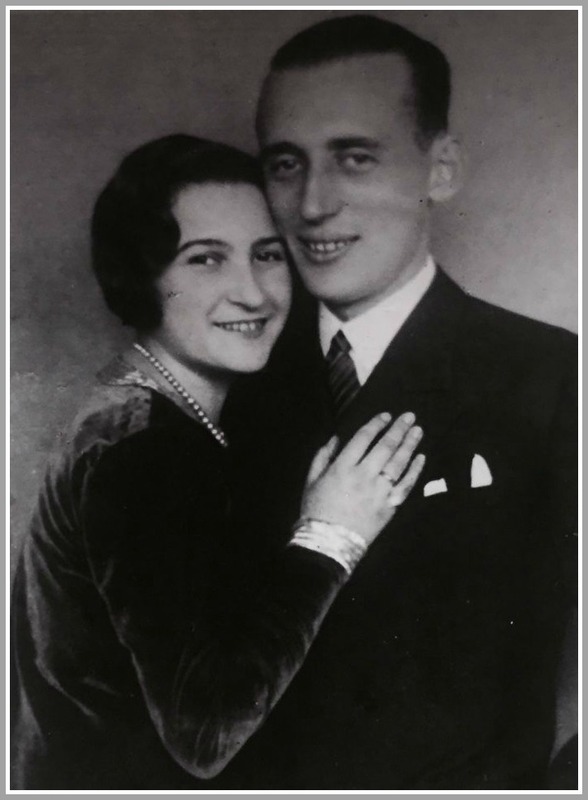 Anita Schorr’s parents, Stella and Fritz, on their wedding day. She was born Anita Pollak in Brno, Czechoslovakia. Her upper-middle class family was fully assimilated into Czech society. They were active in music and theater, and took ski vacations. Her parents were Reform Jews who occasionally went to temple, sometimes made Shabbat dinner, and had both Jewish and Christian friends. In March of 1939, when the Nazis seized the country, the family relocated to a smaller apartment, with her grandmother. In an effort to avoid a fate they feared, Anita’s grandmother and uncle committed suicide. 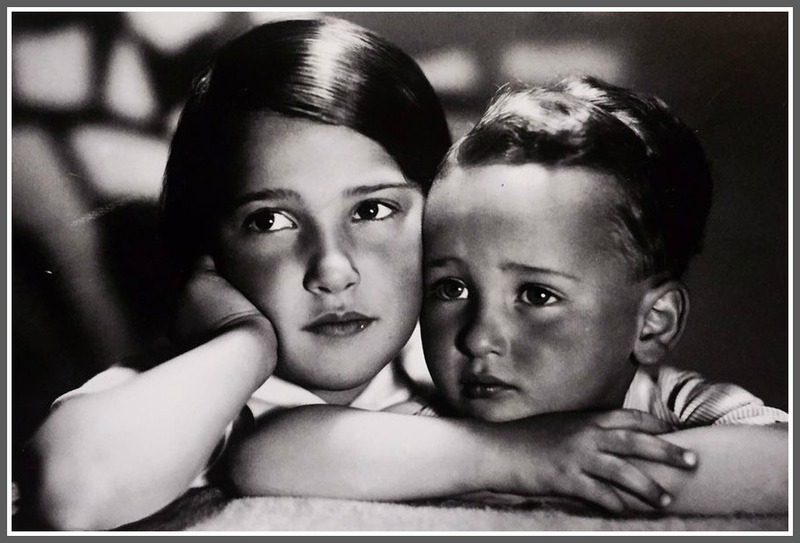 Anita Pollak, age 8, and her brother Michael, 3. Anita was sent to a slave labor camp in Hamburg. After much terror and suffering, she was moved to the infamous Bergen Belsen. Half of the 60,000 prisoners died of starvation and disease. On April 15, 1945, the camp was liberated by the British. Anita had never given up hope of seeing her father again. Miraculously, she received word that he was alive, and would meet her in Prague. Though suffering from dysentery, she traveled to meet him. For the rest of her life, the cherry blossoms she saw along the autobahn on that trip would remind her of freedom. Tragically, her reunion did not occur. Her father was shot 2 days before the Allies arrived. Students were rapt when Anita Schorr told her life story. An orphan at 15, Anita planned for her future. She obtained a scholarship to a private school, and earned straight A’s. Later she trained as one of the first 4 women to join the Haganah (Jewish paramilitary organization that became the core of the Israeli Defense Forces). In 1948 she was sent to the new nation of Israel, where she lived on a kibbutz by the Jordan border. Anita moved to Westport in 1985, and has inspired residents here ever since. Every one of us has to do something. And yes, one person can make a difference. We need to be heroes again. We are better physically, better equipped with better weapons. Mentally we must feel that every incident is everyone’s responsibility. 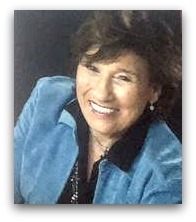 Anita Schorr fought against intolerance. She made sure that the Holocaust has not been forgotten. Now it is our job to never forget Anita Schorr. 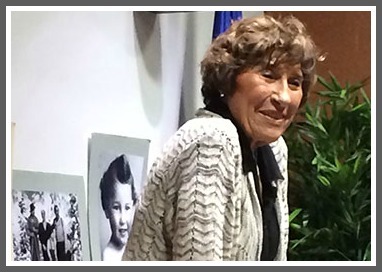 Anita Schorr persevered, and told her story with power. But she had a sense of humor too. After being presented with a small gift after one speaking engagement, she held it up as if it were an Oscar. 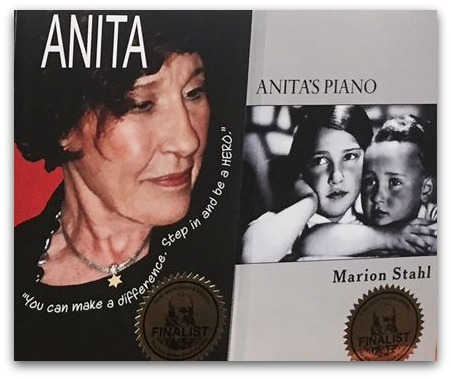 Two books about Anita Schorr, both by Marion Stahl. This entry was posted in Education, History, Organizations, People and tagged Anita Schorr, Anti-Defamation League, Bergen-Belsen, Holocaust, Holocaust survivor, Liz Kaner. Bookmark the permalink. Liz wrote beautifully about Anita’s life. Anita was the most positive and energetic person. Her passion for life helped many people, both young and old. Anita was very dear to me. My family and I are blessed to have had Anita in our lives. A true hero, a true friend…may she rest in peace and may we all learn from her strength so that her legacy lives on. Thank you, thank you, thank you. What an inspiration. We all need to hear about Anita’s life and think…….. I’m reposting and forwarding. I have a friend whose son is a High School teacher and does a program about the Holocaust every year. Anita taught and reinforced many ideals in my, and my childrens lives. I was fortunate to meet her one summer 10 years ago when one of my good friends had a knee injury which took her out of tennis…I took her place on Anita’s court that summer and gained a Jewish mother, friend, mentor and role model. She not only taught me a mean cross court slice angle, she taught me how to be a better person. If there were a problem with one of my 4 children, Anita was always there to lend a sympathetic, yet discerning ear to their problems. When Sandy hit, and we were without power for 8 days, with 2 of our kids with 2 of their friends sheltering with us after being evacuated from the Jersey Shore, Anita, who was one of the lucky who had power…opened her house for us to play ping pong (she had a killer serve), to swim in her indoor pool and most importantly, to shower. She has been a true friend, and I feel blessed to have known her, to have introduced her to my circle of friends, and to the youth group in our church, Greenfield Hill Congregational. Remarkable woman and we must never forget Anita’s survival. Malka Rosen, the mother of my closest friend in high school, had a very similar story. Malka, also Czech, spent time in two concentration camps. She was 14 when captured and slept with a guard to secure her life. She did what she had to. She escaped and was recaptured and sent to the second camp. Her parents had been murdered and she was living by her wits. Malka also moved to Israel in 1948, married there, had a daughter, lost her husband in the ’56 war, married an American and moved here with her daughter. She, too, started giving talks in the 1980’s about her experiences in order to keep the awareness alive. Before that, she didn’t talk publicly about her earlier life at all. But, she had numbers tatooed on her forearm and would, once in a while, mention something about her time in the concentration camps. When I saw Lady Gaga’s performance about abused people at the Oscars, I was horrified to see the scrawled sayings on their forearms meant to simulate tatoos. Of course, I have great empathy for any person who is abused but seeing this onstage display made me remember Malka immediately and frankly, her life and story surpasses almost anything any of those people on stage could have felt. My friend Tammy (Tamara) moved to Israel the day she turned 18 and only returned to the US for a brief visit with her mother every few years. Tammy married an Israeli-American, had six children. Malka jokingly said that Tammy wanted to singlehandedly repopulate Israel. Malka passed away about ten years ago. Remember Anita. Remember Malka. Never forget. Thank you for sharing, Dan. A beautiful life lived with perseverance and spirit. I am always in awe, as well as sadness for what was endured, when reading the stories of the survivors among us. Incredible woman and so brave! The greatest generation were the greatest for a reason. So many young people today have no comprehension of the atrocities and indescribable bravery Holocaust survivors endured. A close friend of mine growing up parents were Holocaust survivors. His mother was one of the strongest and kindest women I ever met. David’s older sister Helen wrote a book entitled Children of the Holocaust and I remember being in awe of her perspective as it related to both her parents. Holocaust survivors saw and experienced pure evil and we must never forget as a society how they suffered and as much they all contributed to the betterment of the world as a whole. I will miss Anita and her strength and positive ideals about people, friends, and strangers. I will miss our weekly tennis games and sharing stories after playing. She was one of the most remarkable people I have ever known. In 1957, when I was 11, we moved to Westport from Israel, sponsored by a Czech family who had moved here from Israel a few years earlier. (In fact, our sponsor’s sister owned Gilbertie Nurseries in Weston.) Immigrating to Westport was not easy way back then. I did not speak English and the school did not know how to help, so they taught me speed reading and sentence diagramming. My father worked in produce at Gristedes and my mother took in ironing. She sewed my clothes and we shopped at the Goodwill so I was ashamed. But I loved the friends I made in Bedford Junior High and eventually at Staples, some of whom I still see. My Holocaust survivor parents did not tell our story to others. These stories were not shared in Israel in the ’50s, especially with the children. Not until we came to this country did I learn what had happened, when in Westport, in our family, they first talked about the horrors they experienced during WW II. My parents met in the Sobibor concentration camp and were part of a revolt there, as depicted in the movie “Escape from Sobibor.” My parents, Selma and Chaim Engel, eventually moved to Branford and, wanting to make sure the world would remember and learn from the Holocaust, they spoke to students all over the state. Being a child of survivors shaped my life. So what is my point? I am not sure. I see my 93 year old mother suffering, as she relives the war in her dementia. I see Syrian refugees, denied refuge all over the world. Art and parent support programs have been cut in the Bridgeport schools. And I see that folks have responded with these posts about a woman who tried to make a difference. Yet how different are we today from 70, 170 or even a thousand years ago? I venture to say that even then there were forward thinking people who knew better and sometimes were able to make a difference. I know that in my little world as a speech pathologist, mother, grandmother and friend I respond to the person in front of me in as genuine and supportive a way as possible. But I am also aware that that in the greater world my inter-personal efforts make little difference – and I find that humbling. DW – please post details about the shiva when available. Thank you for posting on Anita! She brought her gift to this life to so many… The devotion, dedication and caring love in her message to so many children and adults will keep her message and memory alive for years! Her love and friendship to my family and me personally will forever be treasured.